🌟 I have heard a lot of good things about Akemi’s writing style and after finishing this book I can understand why now! I will definitely read her other works. 🌟 Akemi’s prose is wonderful and is addicting. The story deals with many heavy objects and I think the writing was appropriate for this. I specially liked the drawing descriptions at the end of each chapter that reflected the psychological status of the MC. 🌟 I also liked that it had 60 short chapters. 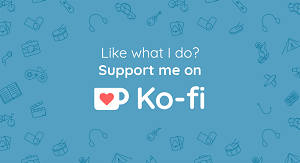 I am just a big fan of short chapters and I think they help keeping the pace right and they help in keeping me thrilled from start to finish. 🌟 My only problem with this book is that it dealt with too many topics at once; there was a narcissistic character, racism, social anxiety, suicidal attempt, an affair, child abuse and sexual abuse. I like a book that tries to deal with a heavy topic and that tries to deliver a message. But I felt that this one was dealing with many subjects. So beware that this is not a light read although it is a fast one. I know some readers can be triggered so I mentioned these! 🌟 The characters were well written and I felt that they were realistic. I just wasn’t comfortable reading about Kiki’s mom because she was bad. There are people like her IRL and I am sorry for all of those who had to deal with such mothers! I was just confused by what she had: Was it a narcissistic personality or was she psychopathic or did she have a split personality?? Until one point when Kiki EXACTLY described her as having all of these which was a bit too much. 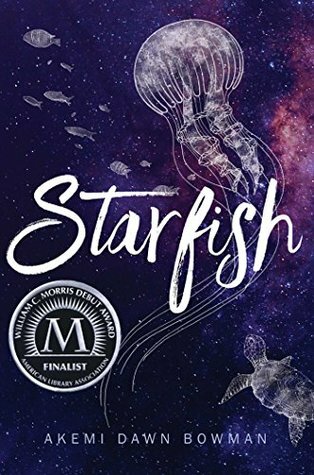 🌟 Summary: Starfish was a good book with such a good writing and good representation. It dealt with a little bit too many heavy subjects so read it with care. It was a positive experience after all and I am willing to give the author’s other books a chance. Yes, I recall Without Merit by CoHo having the same issue and certainly there are other books! Great review! I’m glad you enjoyed it! It’s been on my TBR for aaagess….